People who survive critical illnesses in the intensive care unit often end up with dementia, confusion or other long-term mental conditions. Doctors are coming to realize they can reduce the risk of this damage by changing how they treat patients in the hospital. NPR's Richard Harris has our story. 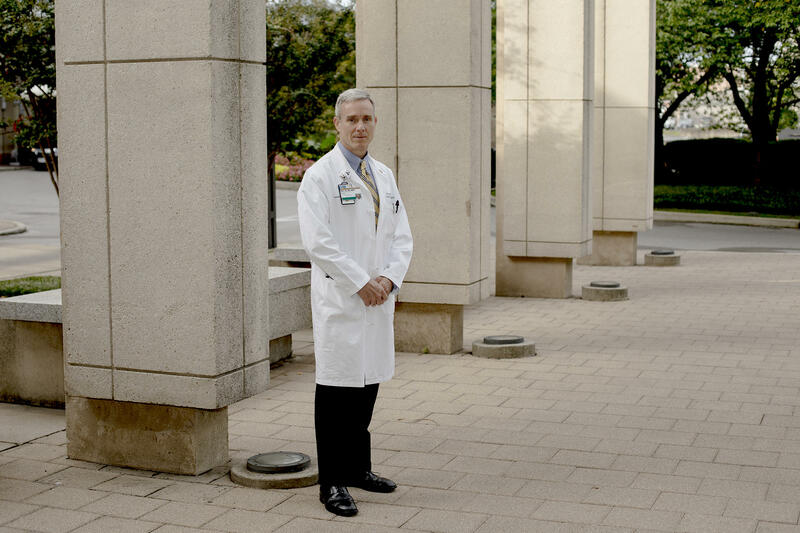 RICHARD HARRIS, BYLINE: Dr. Wes Ely spends his day at Vanderbilt University treating patients in the intensive care unit. He realized early on that simply saving their lives wasn't enough. Many of his patients developed debilitating mental problems triggered by extended delirium in the ICU. So Ely has spent much of his career figuring out how to reduce that enormous and underappreciated problem. WES ELY: The patient you're about to see - this was just a few days ago - had a five-organ failure. HARRIS: He had dysfunction of the brain, heart, liver, lung and kidney. ELY: And when I say dysfunction, I mean basically failed. They were - none of them were working. HARRIS: His family managed to have him transferred to Vanderbilt from an outlying hospital. ELY: They'll tell you the rest of the story. But when you walk in the room, you'll see what we're dealing with now. This is only a few days later. I want you all to meet Richard Harris. HARRIS: Randy, nice to meet you. R. O'BURKE: Nice to meet you. 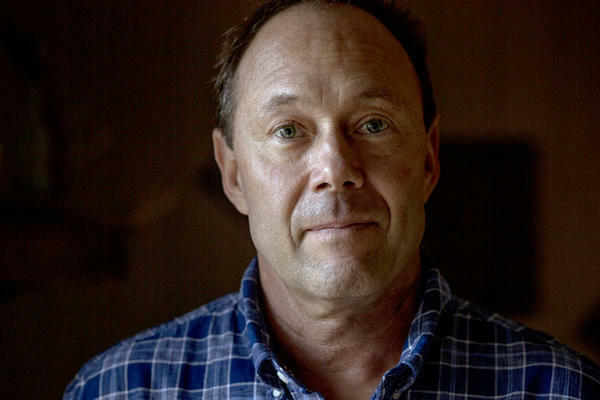 HARRIS: Randy O'Burke's saga started out in Los Angeles, where he lives. He'd eaten a tuna sandwich that he suspects had gone bad the day before he hopped a plane to visit his son in Nashville. R. O'BURKE: You know, we got on the plane, and I just didn't feel right. KAREN O'BURKE: So I asked him, like, you know, what's going on? Do you feel OK? And he's like, it's my stomach. My stomach's bothering me. HARRIS: His wife, Karen, couldn't convince Randy to go to a doctor until the symptoms got out of control. He was rushed to the emergency room closest to his son's house a half hour from Nashville. K. O'BURKE: And they just started putting in tons of lines and going to work and doing different things. I'm kind of a blur as to what was happening at that point because you imagine the shock when you go in there, and they're like, oh, every organ is shutting down, and he's completely sepsis. HARRIS: Sepsis is a leading cause of death in hospitals. It's the body's overwhelming reaction to an infection. O'Burke's case was so bad the 49-year-old man ended up on a respirator and dialysis. Drugs sunk him into a state of quiet delirium. K. O'BURKE: Because he was supposed to be lightly sedated, and he was heavily sedated. And that was not a good thing. HARRIS: Karen says when the hospital told her to start calling next of kin, it was time to get him transferred stat to a hospital better equipped to treat him. 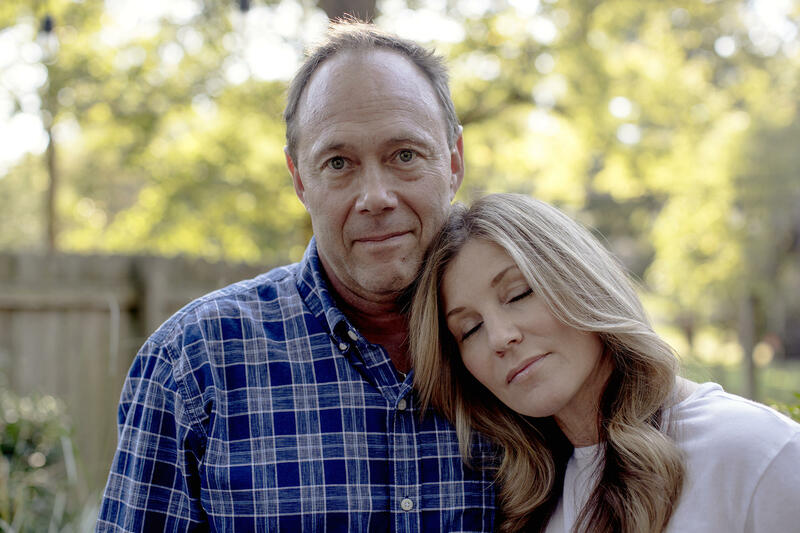 Within 24 hours of arriving at Vanderbilt, Randy's condition had turned around completely. He was off dialysis, the ventilator and off the drugs that put him into a delirious haze. R. O'BURKE: One out of a thousand. K. O'BURKE: One out of thousand. HARRIS: Recovery still lies ahead. R. O'BURKE: I'm starting to get my faculties about me. And my brain's starting to work really good again. But just the fact that I can, you know, carry a conversation right now this is pretty amazing in itself. HARRIS: And you've actually been up and walking around a little bit. R. O'BURKE: Oh, yeah, I've done laps around this place. R. O'BURKE: Don't let me exaggerate too much. But yeah, I've walked quite a bit. HARRIS: Dr. Ely returns to the room and explains to the O'Burke family what he'd done to help bring about this dramatic change. It wasn't just good medical attention. It was a philosophy. ELY: You know, when you get on an airplane, you get safely to the next location because the airline industry has a checklist. ELY: We started standardizing how to remove people off of sedation. Then we came up with a way to measure if your brain was delirious or not, which - you got that measurement. And we were doing this to you when you were there. We were measuring whether or not you were delirious. And you were at the beginning. HARRIS: Ely came up with a list of six steps to take in order to reduce delirium and return patients to health as quickly as possible. ELY: We put all of this into a bundle which we now call the ABCDEF bundle. HARRIS: That bundle includes close management of drugs like sedatives which can cause delirium. Patients are tested daily to see if they can wake up and if they're ready to get off the ventilator. F is for family engagement. Ely says these all reduce the amount of time patients spend delirious, and that in turn markedly reduces their risk of long-term brain damage. ELY: Getting you out of the bed early, that E part, is - cuts delirium in half. So these things are all intersecting. HARRIS: As he sits on O'Burke's bed, Ely explains that it's a big change from what many ICUs still do, which is to knock out a patient and treat their dysfunctional body rather than focusing on them holistically. ELY: To me, the linchpin of this whole thing is to respect the humanness of each patient. R. O'BURKE: Thank you again. HARRIS: The bundle, when done correctly, reduces the risk of ICU-triggered dementia by 25 to 30 percent, Ely says. That makes a big difference to a lot of patients. It's gradually been adopted at ICUs in recent years, but Ely says it's still not the standard everywhere. ELY: About half from our last survey have been doing some elements of the bundle. HARRIS: Pulling it all together A to F is a challenge. Dr. Kirk Voelker at the Sarasota Memorial Hospital in Florida discovered that when he took part in a nationwide study to expand the use of the bundle in all sorts of hospitals. KIRK VOELKER: It was not as easy as we expected it to be in a couple of aspects. HARRIS: Patients require more time and attention if they're alert in bed or walking up and down the hallways with their respirators in tow. VOELKER: We're talking about a cultural change. So we have to have buy-in from the nursing staff. Once we were able to get that buy-in, then you have to have buy-in from the physicians also. HARRIS: That's harder in a community hospital where physicians are more independent and may only do rounds three days a week. Gradually the ideas took hold, he says, though there's still resistance to using the A-through-F checklist to make sure every element is attended to every day in every patient. VOELKER: I think in concept, it's the rule. But actually going through and saying, A, B, C, D, E, F is the exception. HARRIS: It was even a challenge to make it routine at Vanderbilt. JOANNA STOLLINGS: What the problem was is there wasn't a champion. HARRIS: Joanna Stollings, a clinical pharmacist at the ICU, says when she arrived at Vanderbilt, it was clear what needed to get done, but nobody was responsible for seeing it through. STOLLINGS: It needs somebody to coordinate this who's going to be here every single day. And so Wes helped me kind of champion this project to really empower the nurses and respiratory therapists to make sure this happens every day. HARRIS: Wes Ely's crusade now is to make what this hospital does standard around the world. For one thing, he argues it can actually save money by reducing the amount of time people spend in expensive ICU wards. ELY: But the most important thing of course is not the money. It's the human being. And so if they're getting better care, surviving more often with a more intact brain and not bouncing back to the ICU, we see some financial benefits. To me, it's a win-win.